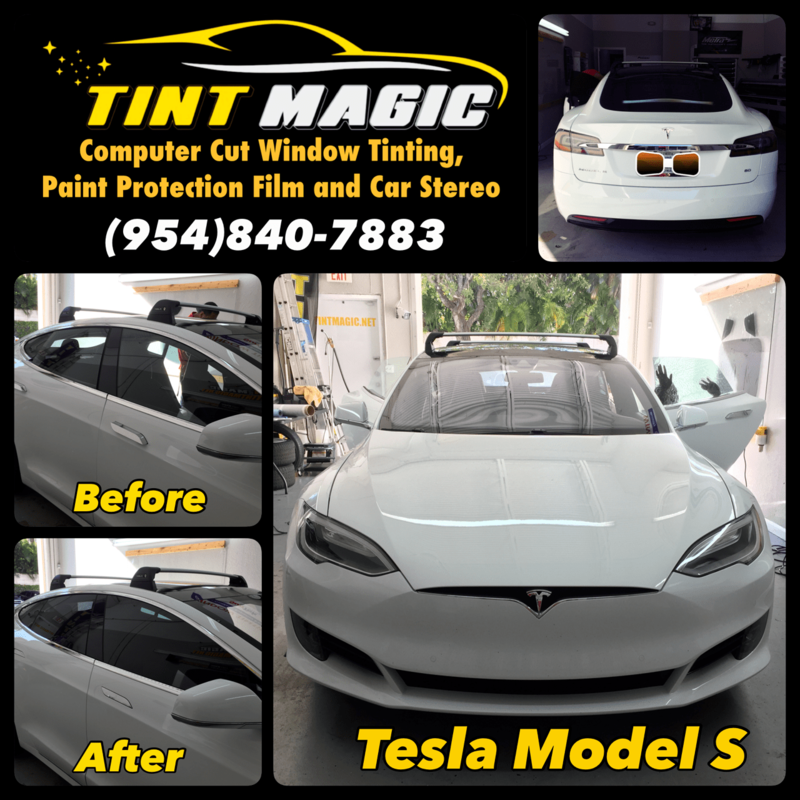 Tesla Model S at Tint Magic Window Tinting Parkland, Coral Springs, Tamarac, Coconut Creek, Sunrise, Weston, Margate, Lauderhill, Deerfield Beach. Call us for the best quality and service! (954)840-7883. We are located at 11344 Wiles Road Coral Springs, Fl 33076. Boasting up to 315 miles of range, the Model S is the all-electric dream car envied by many. Icing on the cake is Ludicrous mode that blasts the top P100D to 60 mph in a claimed 2.5 seconds. The lower-spec models offer reduced driving ranges and features, but the base 60 model we tested hit 60 mph in 5.5 seconds. Luxury items such as an air filter that Tesla says can protect occupants from bioweapons and pollutants—plus available high-tech features including Tesla’s Autopilot—seal the deal.